Love Thine Enemy soon in paperback! Soon to be released in paperback! Love Thine Enemy is soon in paperback for those avid readers who prefer holding a real book in their hands and turning real pages. If you enjoy the stress-releasing satisfaction of lounging in a chair as you open to the first chapter of a new book with your favorite snacks and libation within arms reach, then Love Thine Enemy in paperback is for you. 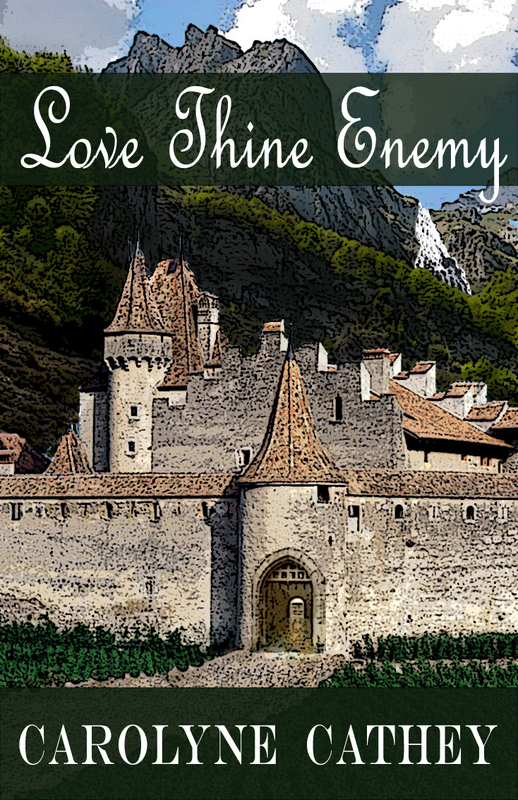 Historical Romance, France 1355 AD., during the Hundred Years’ War when England battled for the French Crown. The thieving knight steals her castle then threatens to secrete her forever in a convent. Lady Rochelle’s only option: Seduce her enemy. What’s more dangerous than hating the enemy who stole your lands? Loving the enemy who stole your heart. When by ruse, Sire Becket receives entrance to the very castle he plots to reclaim as the rightful heir, he is stunned by his dying enemy’s offer for Becket to wed the intriguing and prideful Lady Rochelle – a bloodless coup. He must hurriedly lock her in a convent so that his enemy’s bloodline dies with her, and before he succumbs to her seductions that tempt him to forget she is his enemy. And before she discovers he’s an English knight. Lady Rochelle de Dubois of France must seduce Becket before he imprisons her in a convent, and before he uncovers the secret about her half-brother who carries the enemy’s seed the mysterious knight vows to eradicate, and before he discerns her intention to furtively seek aid from the French king to oust his knight who steals her lands. At least he’s not one of the hated English knights who are ravaging France to win the French Crown. First Place in Northeast Oklahoma’s Romance Author’s Crystal Heart Contest. Second Place in Monterrey Bay California’s Silver Heart Contest. Carolyne. I’m so proud for you winning all these awards for your writing. THANKS! I love writing. I love sharing people’s challenges, passions and triumphs. Thank you, Carolyn! I’m enjoying being able to share my gifts.